Could Westchester County be looking to consolidate police services with the Village of Buchanan as it has in the past with the towns of Cortlandt and Ossining and the Village of Mount Kisco? Westchester County Executive George Latimer made reference to that potential partnership during an appearance at a Westchester County Association (WCA) breakfast in Tarrytown last Thursday where he talked about shared services the county has partnered with other communities. 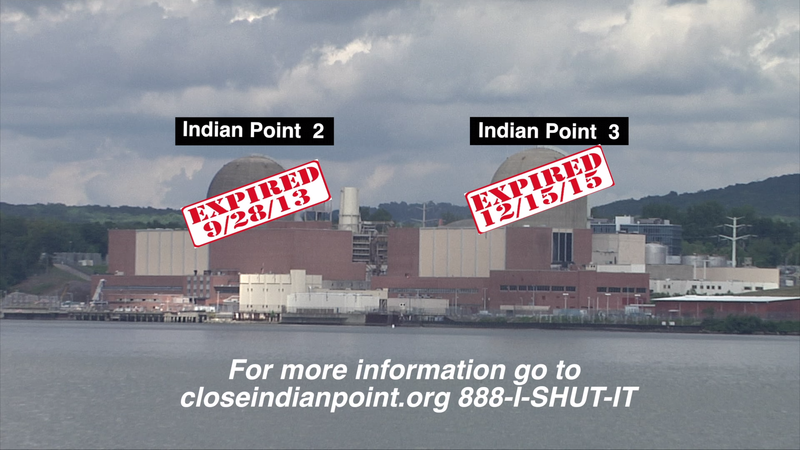 In January 2017, Entergy, which purchased the Indian Point nuclear power plants in Buchanan more than 16 years ago, announced, to the complete surprise of local leaders, its plan for the early and orderly shutdown of Indian Point Energy Center by April 30, 2021 as part of a settlement with New York State and Riverkeeper. 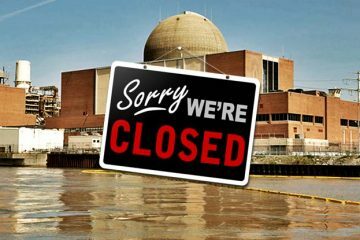 In exchange, New York State agreed to drop its legal challenges and support renewal of the operating licenses for the facility. 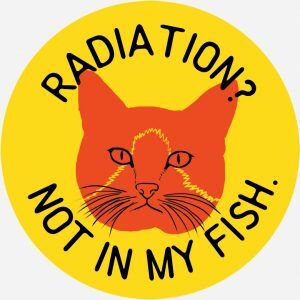 Since that time, a local Community Unity Task Force has been established and meeting regularly to address the property tax implications of Indian Point’s departure, along with the loss of approximately 1,100 jobs and the future use of the 240-acre site in Buchanan. 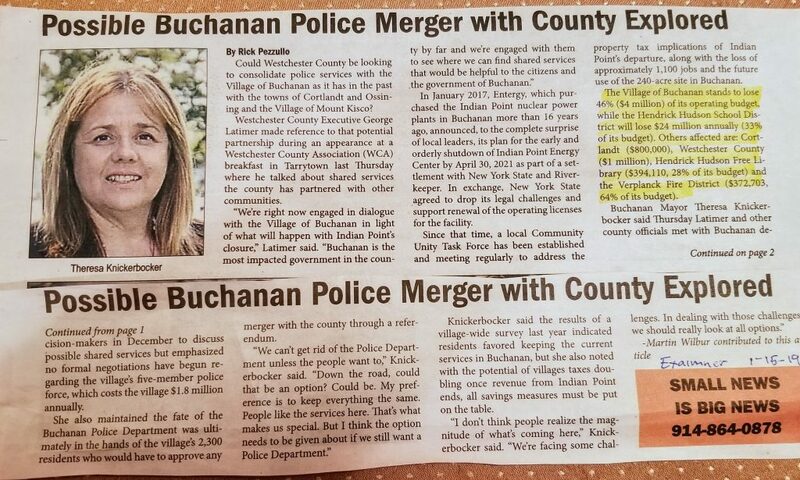 Buchanan Mayor Theresa Knickerbocker said Thursday Latimer and other county officials met with Buchanan decision-makers in December to discuss possible shared services but emphasized no formal negotiations have begun regarding the village’s five-member police force, which costs the village $1.8 million annually. She also maintained the fate of the Buchanan Police Department was ultimately in the hands of the village’s 2,300 residents who would have to approve any merger with the county through a referendum. 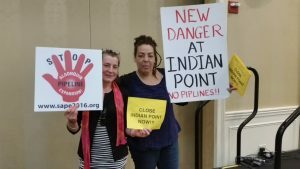 Knickerbocker said the results of a village-wide survey last year indicated residents favored keeping the current services in Buchanan, but she also noted with the potential of villages taxes doubling once revenue from Indian Point ends, all savings measures must be put on the table.